A black Thai Buddha head design oil burner. 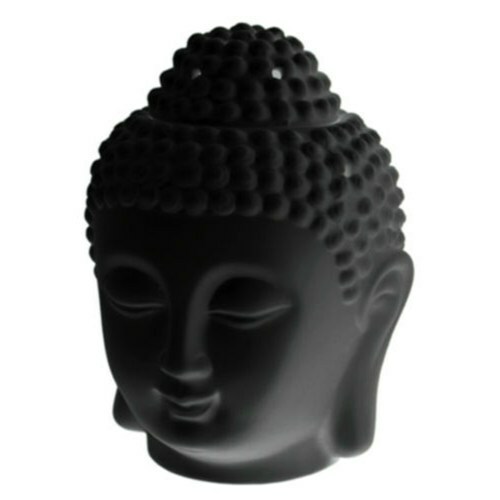 This is our absolutely gorgeous, unique matte black, Thai Buddha head oil burner. A perfect way to help elevate your mood and relax after a long hard day. Simply place a tea light candle in the bottom and fraganced oils, the fire burns the oil to realease a beautiful smell which wanders around the home.